According to Jesus, the primary underlying message of his teachings was “hidden” from those who were not ready to know the truth (Mark 4:22; Luke 19:42). This special knowledge is related to what is referred to in the Old Testament as the “secret things” of the Lord (Deuteronomy 29:29). Until now, the “sacred secrets of the kingdom of God” (Luke 8:10; Matthew 13:11) have never been made public to the world. However, clues left to us in various ancient texts, as well as the Bible itself, have made it possible to understand these revolutionary hidden matters for the first time in the modern era. The long journey that lead me into the research and writing of this book began in childhood. It was during those impressionable years that I was first told that the world, and all living things in it, had been created by God. I remember being perplexed by the concept of such an eternal being. If God exists, and if “he” created the universe, where then did God come from? And, if God once literally appeared in person in ancient times, why then does he not do so now? I eventually realized that I would never receive a credible answer to these childhood questions. It was in my teenage years that I began to disassociate myself from my religious upbringing as I became more aware of the logical deductions of science. However, by the time that I was in my twenties I came to realize that mainstream scientists harbored their own dogmatic views. For example, I knew that the secular physicalist bias that they held against subjects pertaining to the paranormal was unjustifiable after I personally experienced paranormal phenomena. The most stunning of which was the sighting of a luminescent anthropomorphic energy form. These experiences were, at least for myself, empirical evidence of what countless witnesses have been reporting for millennia. I therefore came to realize that just because mainstream scientists have not yet discovered a way to apprehend the anomalous aspects of nature does not mean that such phenomena does not exist. The impetus that compelled me to research and write this book was a need for understanding. It was only after I released myself from the constricting influences of all forms of indoctrination that I was able to be receptive to more accurate deductions. My mentality during this life-altering quest was one of intrepid objectivity; and it is with this same type of clear and unbiased attitude that the following work should be approached. 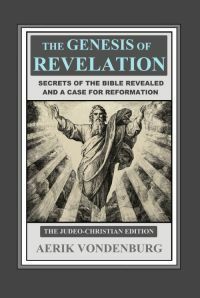 What I eventually discovered is that the key to understanding could not only be found in the various scientific studies and historical texts of the world but in the discovery of the meaning of the “secrets” of the Bible. O how you have fallen from heaven, you shining one [lucifer], son of the dawn! How you have been cut down to the earth, you who were disabling the nations. However, what is not commonly understood about this passage is that it does not actually refer to the devil. At the beginning of this proverb (Isaiah 14:4), it is reported that this particular taunt was directed at “the king of Babylon.” This is who the “son of the dawn” originally referred to. Therefore, the word that is sometimes translated as “Lucifer” (from the original Hebrew word he lel) was not originally a name. The author was actually conveying the point that although the king may have once been as glorious as the morning star, his shinning splendor had been brought to an end. It was during a later time that the character of Lucifer as a fallen light-bearer, who was the one-and-only devil, developed. This deviation did not occur until the New Testament era (2 Corinthians 11:14), where Satan is described as an “angel of light” (aggelon photos), who was seen falling “like lightning from heaven” (Luke 10:18); which was most likely a based on a misinterpretation of the Isaiah text.